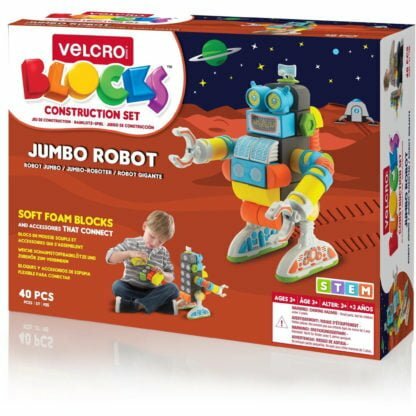 Build a Jumbo Robot from sticky Velcro blocks! 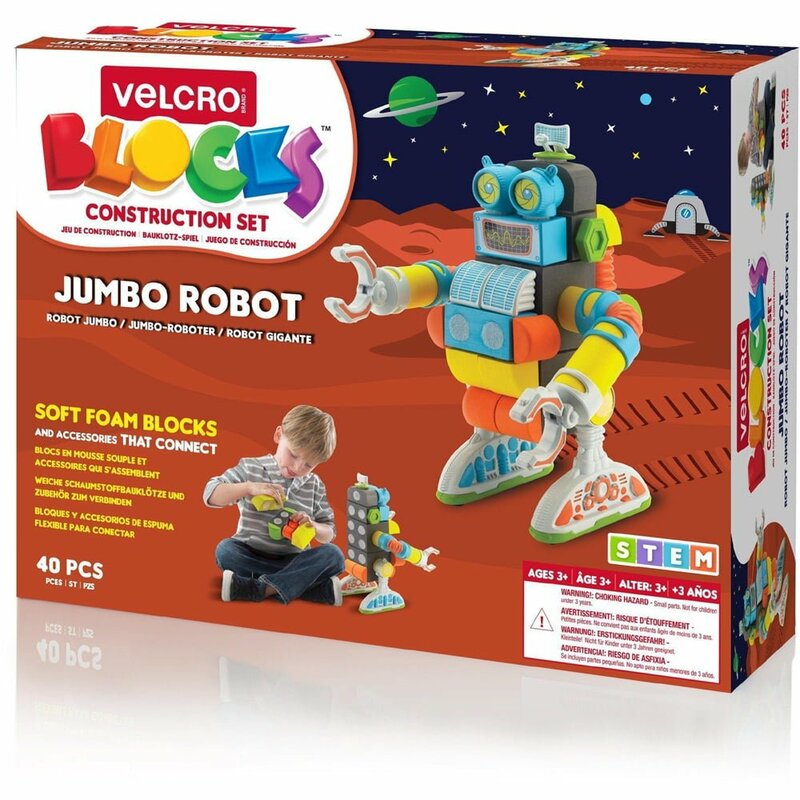 Made of squishy foam and sculpted plastic, these blocks attach with Velcro hook and loop fastenings to build a wonderful jumbo robot! 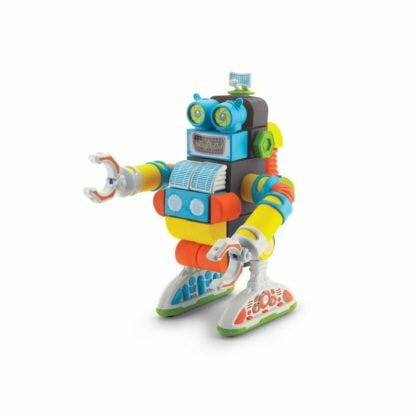 But, because they attach and detach easily, there’s no reason to stop there – you can create any creature you can imagine, and the blocks can combine with other sets to give limitless possibilities!